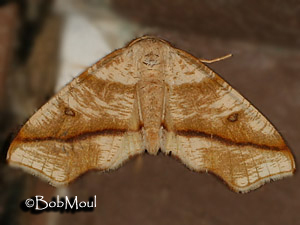 Identification: Wings yellowish white, shaded with orangish brown; lines orangish to blackish brown. Pm. line curves outward and meets costa closer to apex than in other Plagodis species; discal spot large. 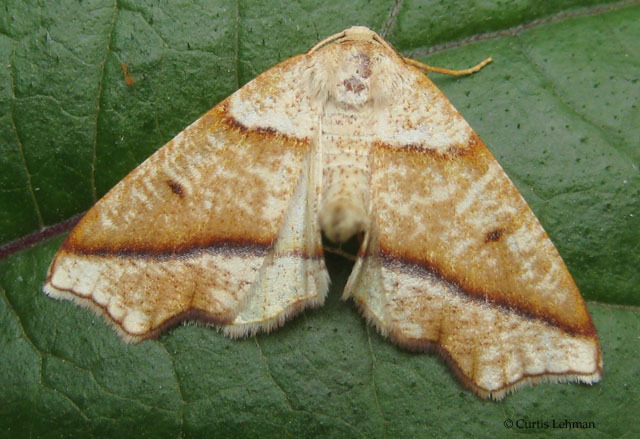 Summer brood (form "kempii" Hulst) is paler yellow with fewer markings than spring brood. Flight: Late March-September. Two broods. Caterpillar Hosts: Basswood, beeches, birches, chestnut, maples, and oaks. Range: Nova Scotia to Georgia, west to Manitoba, South Dakota, Missouri, and Mississippi.